I was enrolled in a doctoral course that met from 7 p.m. to 8:30 p.m. at Baylor University two nights a week. After class, I was driving west going home when I noticed a bright light above Lake Waco. At first, I thought it was the planet Venus; but as I continued to drive toward the Lake as I lived on the west side of town, I could the light appeared more and more to my right. So knew it wasn’t but was probably a helicopter. Two nights later as I was driving home from class, I noticed the same light again. Since as I wasn’t sure if it was a helicopter or something else, I thought I would check it out. Instead of going home, I drove over the bridge at Lake Waco and took the first exit to the right which led into Speegleville Park. 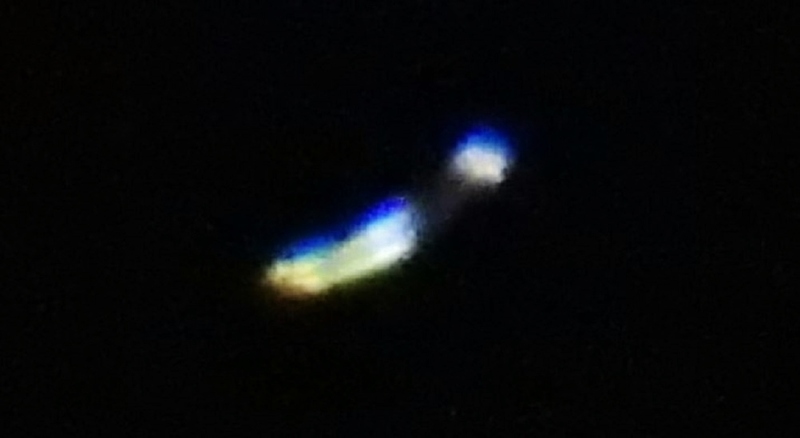 I could see the craft was over the west side of the Lake in a stationary position with a white light pointing east. As I approached the craft, it turned off the light and started moving to the southwest. I could tell it was a black triangular craft. It crossed over the highway, and I decided to follow it. I got back on the highway and watched the craft cross over the highway and settled behind a clump of trees on the south side the highway. I then took the next exit and crossed over on an overpass to the area where I saw the craft go down. As I drove slowly past the trees, I could not the see the craft. The road curved back to east; and I pulled up about 100 yards, turned off my lights but left the engine running. Looking in my rear view mirror after a few moments, I saw the slowly rise from the trees and started coming toward where I was parked. It then pulled up to where I was on the other side of the fence. It turned facing me and stayed motionless, making no sound. It was on the other what appeared to a telephone line about 10 feet above it. 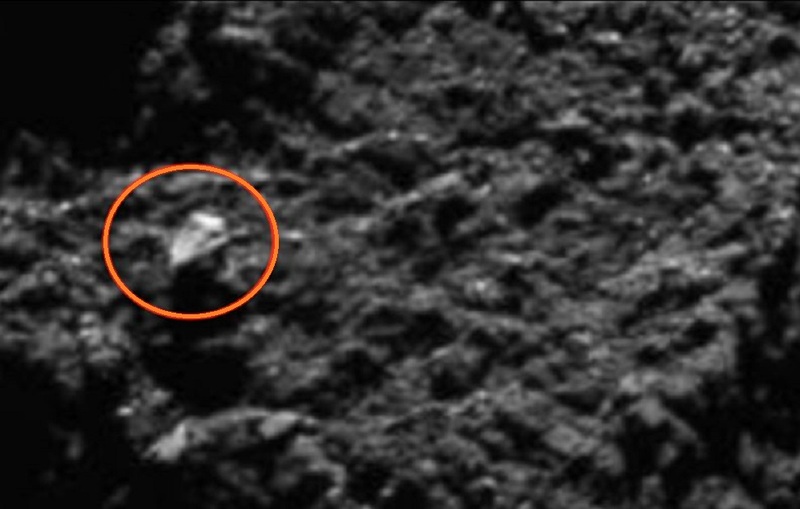 I could definitely tell that the craft was black, triangular in shape, about 20 feet wide and 30 feet long. It had a cockpit with a greenish hue inside, and I could see the shadows of 3 small heads peering down at me. After about 4-5 minutes, a green light shined down on my vehicle, causing the engine to die. I tried to restart it to no avail. I tried turning on my lights and then the radio; but nothing worked. Getting nervous, I locked my doors. I sat there a good 15-20 minutes, trying every 2-3 minutes to start my engine. Finally, the engine turned over, and I drove down the road about another 100 yards where I turned on my lights and turned around. As I drove past the craft on my left, it hadn’t moved. When I got back on the highway heading east, I could see it was still there. About 3 years later, I saw what appeared to be the same craft above the lights at the south end of the La Vega football field, apparently observing a football game. My family and I were headed toward my wife’s family for dinner. And I wanted to drive over and show her what I had seen years earlier; but she didn’t want to go. Having served two years in AF ROTC and two years in the US Army with a Top Secret Clearance, I can say without any doubt that this craft was not one of ours. 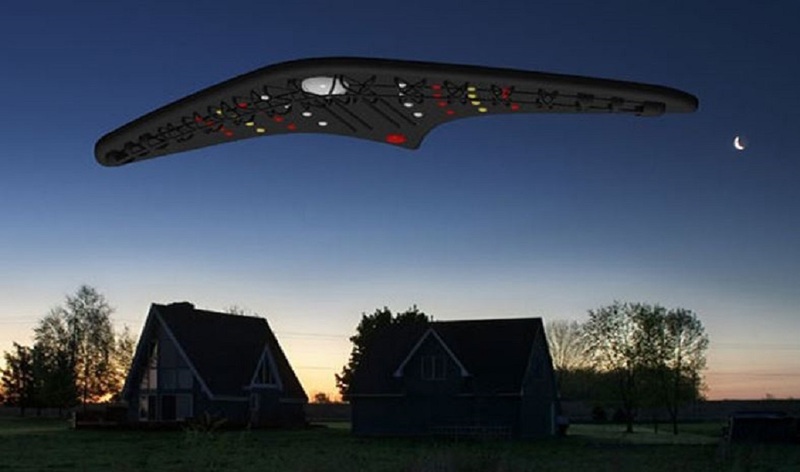 – MUFON CMS NOTE: The above image is CGI. This is a report of an interview I conducted of a person who was at the Roswell crash site. I am a retired engineer. I joined the staff of the then new campus of the University of California at Santa Cruz. There were several sightings of UFO’s in the mountains behind the campus in 1969 and reported to the University. I was asked to interview 3 people and file a report. I could find on credibility or evidence in these events but, because it was a small campus and everybody in the Sciences knew what was going on, I got the unwanted reputation of someone who knew about UFO’s. He said that he had just returned back to work after the 4th of July holiday when a truck pulled up and an officer got out and told him to load a cutting torch and fresh tanks and that they were going out to the desert. He said that it was mid afternoon when they arrived at the crash site. He said at the time he thought a plane had gone down. He said they had a flatbed truck loaded with wreckage and there were soldiers on their hands and knees picking up every piece of wreckage and putting it in cloth bags. He said the bags were the kind used for sandbags. He said they drove a little farther out of sight from the wreckage and came upon a second group of people standing around an intact UFO. He said the brush was knocked down indicating the craft had skidded across the ground and came to rest nosed into a natural berm with the back side slightly off the ground. 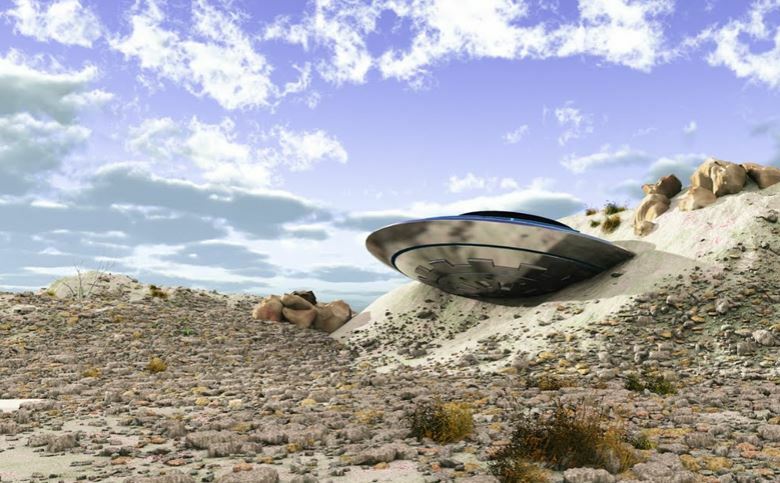 He described the craft as being about 25/26 feet in diameter with a large dome on top. He said the craft was the ‘color of weak tea’ with a burnished finish. He said there were no signs of weld marks, seams, or rivets and that all of the edges had either an inside or outside radius. There were no visible windows or openings. That was why he was brought there. He was told to cut an opening in the dome big enough for a man to crawl through. By this time it was getting to be late afternoon and there were soldiers setting up a bank of portable lights. He said he began cutting a hole from the base of the dome. He said it was a tough alloy and slow cutting but the material was surprisingly thin. He tried bending the metal out of his way as he was cutting but the metal would spring back to its original shape without creasing. He finished his cut and set the metal piece aside and looked into the cockpit for a few seconds before he was ordered off the craft. He said it was difficult to see very far into the craft because of the glare from the portable lights and the cockpit was full of smoke from the cutting torch. He said he saw two beings who appeared to be dead. He said the cockpit had a strong smell of ammonia. He described the two beings as being about 4′ tall but they were doubled up so it was hard to say. They were wearing what he said were skin tight purplish flight suits that reminded him of sequins. He described their heads as what we now refer to as greys. He said there were no visible instruments that he could see. He was ordered off the craft with his gear and returned to the Air Base. He said it was dark when they arrived and he was escorted by armed guards into a building for a debriefing. He said there were several high ranking officers at the table along with 4 or 5 civilians in suits. He said that after he was debriefed he was told that he was not to talk about what he had seen as it was a state secret and if he was caught divulging anything he would spend the rest of his life in prison or worse. He was scared to death by the threat and my friend and myself are the only people he ever told and that was 23 years after the event. When we started the interview, I was told that I could not take notes or use a recorder. He was very nervous telling the story and had to be reassured by my friend that I would not betray him. 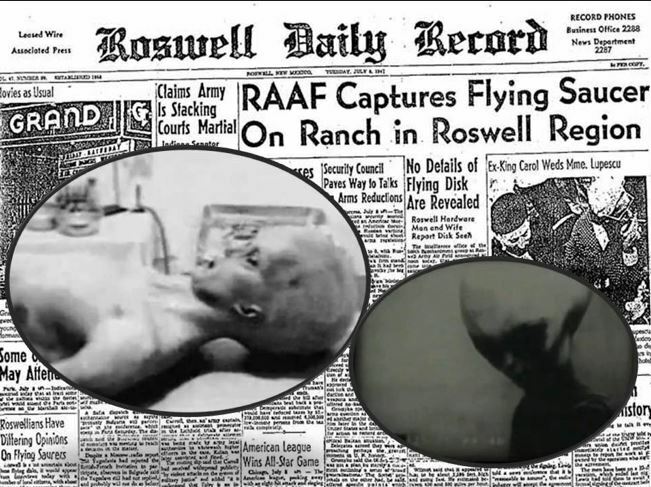 He said that what had been described as the Roswell event was not true and he wanted the truth told after his death. He asked that I keep what he told me a secret until after his death which I have done. He and my friend both passed away in the late 1980’s. When I heard this story I did not know what to think. I was not a UFO buff and had never heard the Roswell story. My friend said this guy was the real thing and during the interview I never sensed anything odd about his presentation or with his mannerisms. 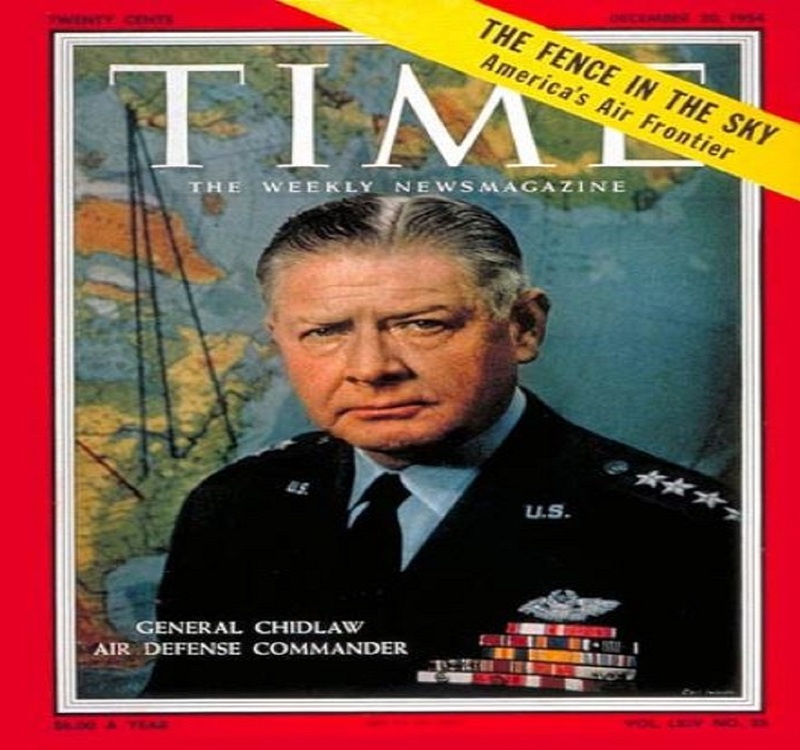 He provided a lot more information that I have stated but the interview was almost 50 years ago and forgotten. I think he was telling the truth. My friend was a very honorable and trustworthy man who would knowingly support a bogus story. I never saw or spoke the welder again after that evening. I have shared my knowledge of this interview with a couple of investigators but I think they doubted my credibility. – MUFON CMS NOTE: The above images are CGI. 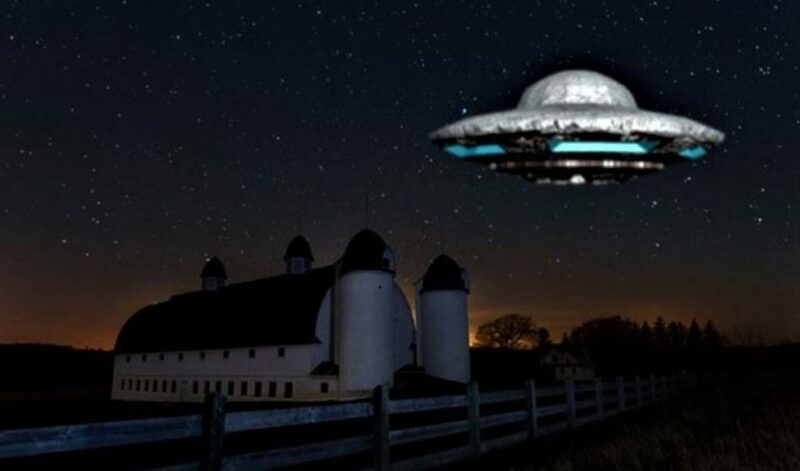 I have seen flying saucers since august 18, 1980. 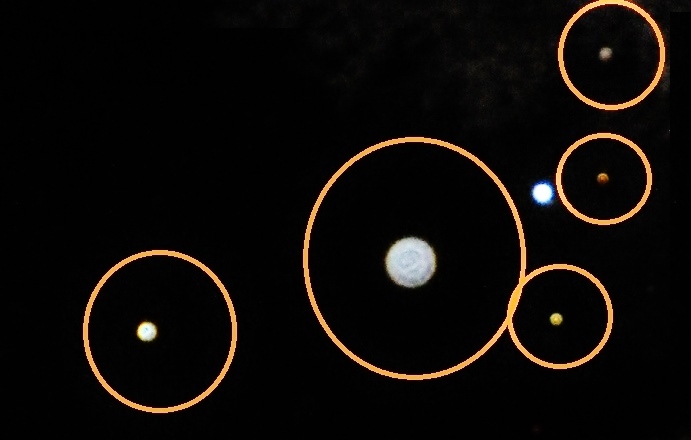 This was my 8th UFO experience, but I have never seen orbs, only spaceships. These were orbs, I think, not what I usually experience. I first noticed the object before dinner, but I just blew it off. We had dinner on the beach, overlooking the water. My wife noticed it after dinner, when we went to leave. I immediately saw a large bright light again, much brighter than the first time, approximately 45 earlier. I knew immediately what it was, a UFO. We just purchased a camera a few days before, and we went to the waters edge, and started filming. My wife did. The object, there were 4-5 of them, were extremely bright, varying in size from a pin head to a quarter. I estimate about half a mile to a mile away from shoreline. They moved independently, and went from bright small in size, to immensely bright and huge, maybe the size of a quarter. They moved up and down, remained stationary, and one of them went over land when big, over I would assume sandy hook area, 10-15 miles north of where we were. There were 6-7 people on the beach watching and filming as well. It was amazing to see. My feelings…very excited, very controlled. I wanted to attract them, and stood in the light than ran across the water and did jumping jacks to attract it. It did not respond. The objects got extremely big and bright maybe 3-4 times. These actions unfortunately were not captured on video of photos. I told my wife to take video, to make sure we had it on video. I spoke to my cousin on the cell phone throughout part of the experience, because he knows of all the things I have experienced, and I was describing the scene to him as it happened. I am very lucky to have experienced what I have throughout my life. We never lost sight of the objects. We left after about an hour or so. We saw amazing detail of 2 orbs around a tremendous bright round light, sometimes two bright circles of light. Unfortunately, I do not know how to submit this to you right now, but will have my wife do so in the next few days to a week. You will be amazed, or maybe not, since this is probably common but it is amazing, and I would like an explanation as to what this is. I believe it is extra terrestrial. My wife thinks it was secret military craft, but she also said she did not know what it was. She does not believe in UFO’S, since she has never seen one, but then, she could not explain what we saw. NOTE: The above image is a rendering. KEN’S NOTE: This area has been very active with sightings over the years. Ft Monmouth is nearby and has a two mile dock that protrudes out into the bay. Military ships can be seen there often. The bay leads to the Varrazano Bridge and eventually Manhattan. 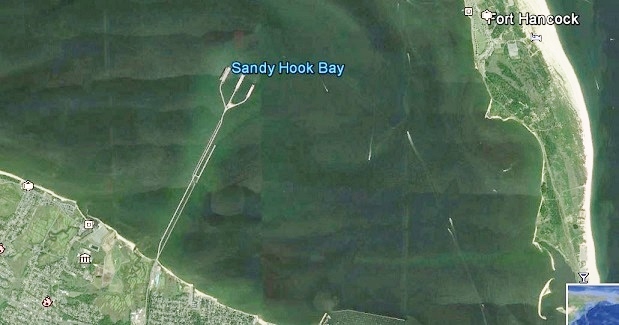 Check it-out on Google Earth. 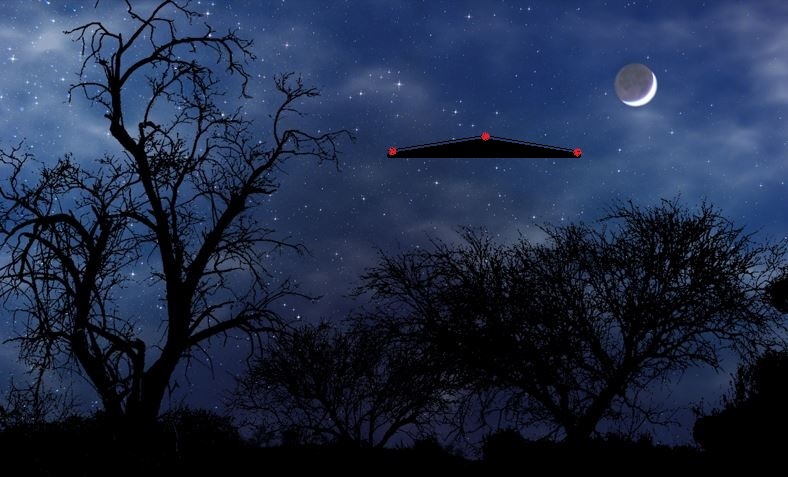 This case is under investigation by Bob Spearing of MUFON New Jersey. 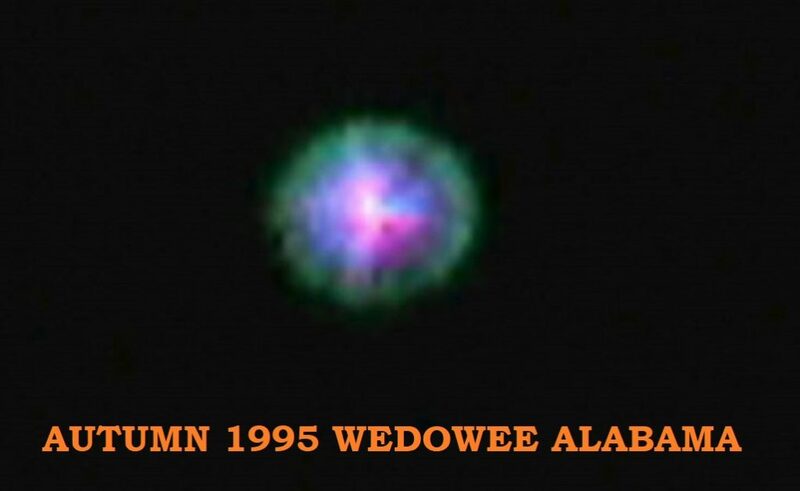 Special thanks to www.mufon.com case file.